Dr. Ehlers specializes in neuro-musculo-skeletal problems, such as low back pain, neck pain, headaches, sciatica, numbness, carpal tunnel, whiplash and sports injuries. Dr. Ehlers provides hands-on, effective treatments that help to relieve your neck, back and extremity problems without drugs or surgery. Dr. Ehlers is able to offer his patients a variety of adjustment techniques and approaches to care. These techniques include: Full Spine and Extremity adjustments, Cox Flexion/Distraction, Thompson Drop, SOT and Activator Technique and Active Release. Physiotherapies are also available which include Ultrasound, Muscle Stimulation and Kinesio Taping. Dr. Ehlers graduated from Northwestern Health Sciences University in Bloomington, MN. He completed his undergraduate degree at Southwest Minnesota State University in Marshall, MN. Dr. Ehlers specializes in evaluating and treating sports injuries and is a Certified Chiropractic Sports Physician (CCSP). As a CCSP, Dr. Ehlers treats many high school, college and professional athletes in the San Diego Area. 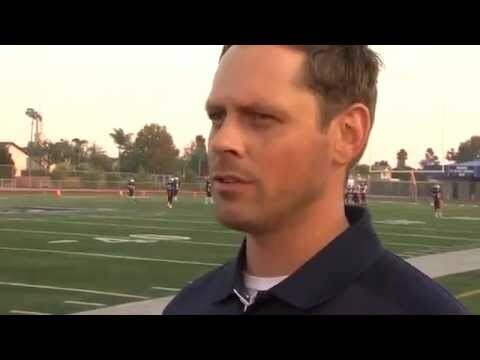 He is also the sideline doctor for Madison High School and Mira Mesa High School Athletics. Dr. Ehlers volunteers with the San Diego Sports Medicine Foundation and the United States Olympic Sports Medicine program.